The Government, supported by the Independents and with the complicit Fianna Fail abstaining, have ignored what we considered sensible amendments to the Finance Bill on the issue of stamp duty on commercial property. It is a very disappointing result and a sign that there is little interest in the development of Rural Ireland among the main parties and the Government. 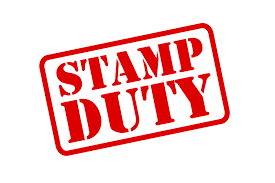 The Government, along with their Independent colleagues last night voted to increase the stamp duty on commercial properties to 6 % . For all towns in rural parts of the country who are trying to encourage people to buy closed shops or are trying to encourage people to open new ventures, this will, on average, cost of between 8,000 to 12,000 Euro extra, which in my view stifles the market. I along with Deputy Mattie McGrath forced a vote, but unfortunately the numbers required were not in support, which sent a clear message to me that most politicians do not care about the revival of small towns . Deputy McGrath and myself put an amendment in that would see properties up to a figure of 300,000 stay at 2% and then it would revert to the 6% rate over that figure but to no avail . People in Rural Ireland are being forgotten about, and instead of an incentive to get a revival going they have slapped it down again. So much for being pro-business, and in case people would wonder where the funding in the budget would come from to compensate, clear alternatives were given . People don’t have much choice in politics at the moment and those that they put faith in to Govern are turning their back on them.